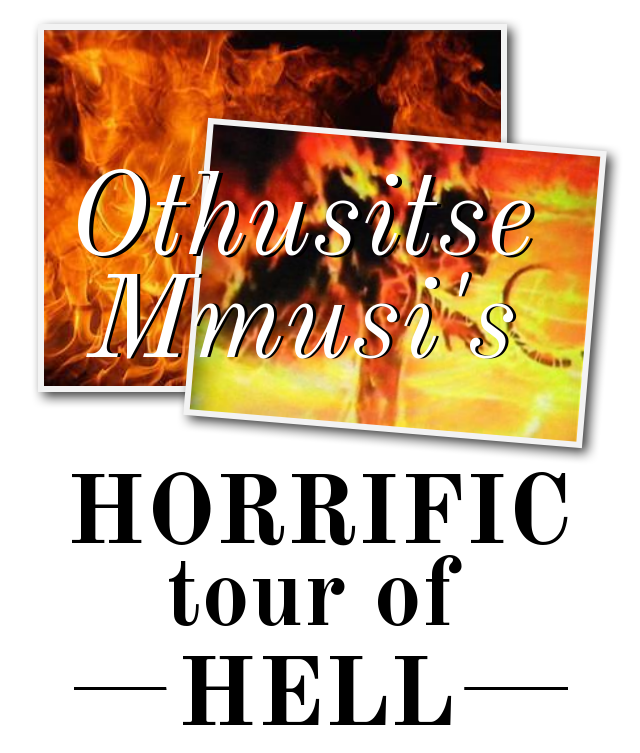 Prophet Othusitse Mmusi’s shared his testimony on facebook of what he saw in hell when one night he was taken to the very gates of hell and given a tour. What he saw has changed his life forever. This experience was given to him and others because the Lord knows so many people don’t believe in hell. Millions of souls are heading into hell every second of every moment. He even saw children at the age of accountability in the depths of hell. He also saw different levels of torment which line up with so many other testimonies about hell. What you do in this world, if you are not saved, will be given back to you in hell in a worse degree. Today he shares this experience in hopes that it will shake the reality in people that there is more to this world after we die. He hopes that many people will start looking into the word of God and be saved, because this is the most important decision of your life. Christians and secular people need this message, because today we have many Christians who have turned their back and followed after their lusts that the world offers, and he sees Christians in hell as well. Could you find yourself in hell today? 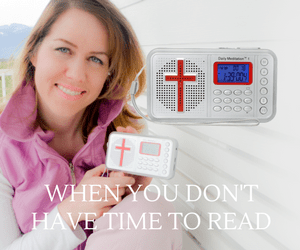 Are you saved by the Lord Jesus Christ? If you are not, reach out to him today in a prayer, turn away from sin, and towards God, and start walking forward in a life that is righteous. The Holy Spirit will guide you all the way. I had an experience. I was taken into a vision of the LORD, We were assembled in church, Divine Revelations Church, Someone stood up, spoke in other tongues and I interpreted the tongues, the LORD was telling us the importance of the HOLY SPIRIT in our lives. We must walk in the Spirit, be led by the HOLY SPIRIT and let him fulfill his ministry of intercession through us. There were brothers and sisters from Church, as we began praying, I looked towards the door, here I saw JESUS, walking in, HE wore a white robe, HIS hair was light brown, HE walked majestically, HE was the perfect LORD, perfect in everything sense of the word. As HE appeared, people’s attention were taken to the door, I was surprised everyone saw HIM, people began to fall down, prayed in tongues, others cried hysterically, others fell on the ground with their faces, I said; “JESUS has visited us, people, stop crying, see HIM, touch HIM”, but they weren’t listening to me, they cried more, the Spirit fell upon them. JESUS walked to where i was, I felt indescribably joy and peace, HE came next to me, there is a brother who always wanted to see the LORD, this brother was praying, JESUS came over, leaned over, held the chair he sat on with HIS hands, looked at him right into the face, I saw the eyes of JESUS, light blue, large, round and beautiful eyes, HE looked at him with eyes of compassion and love, pure love, the brother was overcome by the LORD’s presence. JESUS straightened up, HE began to look around the church at everyone, with HIS beautiful, blue eyes, every single soul, I saw HIS deep love and care for them. JESUS began to speak to us, the first thing HE told us, was that HE is aware whats happening in the world, the crises, the rumors of wars, lack of peace, Killings, what is happening in Middle East etc HE said these were signs of the end times. JESUS said, HE is coming very very soon. HE said the rapture is very imminent, It is going to happen. Around the world, many believers will disappear, the world left behind will be in chaos and distress. The way the LORD talks about the rapture, it is so important and critically that we get ready. The LORD spoke other things, after that, we saw HIM turn, to walk away the same way HE came in, people began to cry out, “JESUS, please take us to heaven,”, people thought HE had come to take us to heaven. JESUS stopped on HIS tracks, turned around, HE looked at us, HE said, before the year ends, some people in church will have heavenly experiences. After JESUS said that, HE walked away, I saw HIM walk on the corridors until HE vanished. John 10:14: I am The Good SHEPHERD, and I know MY sheep, and am known of MINE. 1 Thessalonians 4:14-17: For if we believe that JESUS died and rose again, even so them also which sleep in JESUS will GOD bring with HIM. For this we say unto you by the Word of The LORD, that we which are alive and remain unto the Coming of The LORD shall not prevent them which are asleep. For The LORD HIMSELF shall descend from Heaven with a shout, with the voice of the archangel, and with the Trump of GOD: and the dead in CHRIST shall rise first: Then we which are alive and remain shall be caught up together with them in the clouds, to meet The LORD in the air: and so shall we ever be with The LORD. Wherefore comfort one another with these words. Revelation 19:9: And he saith unto me, Write, Blessed are they which are called unto the Marriage Supper of the LAMB. And he saith unto me, These are the True Sayings of GOD. In the night, the HOLY SPIRIT made me know that i am going to have a visitation. In early morning, around 3:00am, I was taken into a vision. I came unto an assembly of the saints, I could see people from our church, brothers and sisters, then I saw an elder, I saw five angels from heaven, four masculine and one feminine, the angels had glory upon them, long, golden hair, there was like a breeze blowing softly upon their hair. When I came, the angels stood up, smiled, came and greeted me. I was very elated. Then the HOLY SPIRIT reminded me of something, there are people i know, in our church and others who have been telling me, they want to see hell, they prayed about it and told GOD, that if they see hell, their lives will change and they will be radical about souls. The HOLY SPIRIT let me know, GOD has heard and was answering their prayers. I looked next to me, there was a tour guide angel, he was of perfect stature, his body was wrapped in pure and shimmering whitest robe, as white as glowing snow. The angel spoke to me and told me to ask people who prayed to see hell to come on our left, I and the angel were facing them, there were movements, the other people went the other side, but Lo, the people who prayed and needed to see hell, they were so many. By revelation I knew, GOD answered that prayer firstly, For the recipients of the experience to know that Hell is a real, literal place where all sinners will go, secondly, for their lives to change and never take eternity lightly, thirdly, for them to grasp the importance of soul winning and why JESUS came to save mankind. The angel was quiet now, just looking at the group of people, who were about to visit hell. 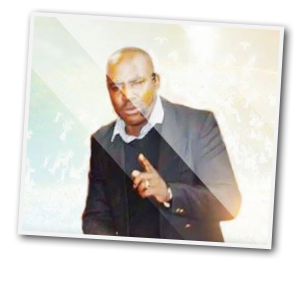 I knew hell will be terrible, because the LORD JESUS had taken me there, on several occasions, I knew this people were about to experience, something that will shock them. I said to the angel, may you lead us, i felt in my spirit, to go back to the end of the group, as the angel was walking with us, in front. We began a journey. We started walking on a rocky roadway, the area had just sharp, many rocks. It looked like a very hazardous place, the people were walking and silent, everyone’s expectation and curiosity, was about to me met. The road was like a descent. We walked and walked on that road until we came to the gates of hell. There was a big writing on it. The reality began to settle on people. The gates opened, what we saw was very disturbing, the skyline, was like dark and brownish. The whole area carried a sense of loneliness and hopelessness. The angel proceeded into the gates, followed by the saints and other angels in midst. To me, i was caught up with the moment, the memory of visions i had about hell came flooding into my mind, here I was again, entering into hell. There are three sections, the angel took us into. As we walked to the first section, as i was looking at my environment, It was dark, but there was red color which were flames, on the ground, the walls and a bit of atmosphere. The place was so so large and all of it, a very lonely place. I was aware that multitudes of people from all walks of life were imprisoned in there, The angel took us into this arena, I heard some people who were with us began to scream in terror, someone said, “Oh My GOD, this is awful”, people began to shake and cry, some cried to the angel in charge “Its enough, please take us back”, some said”we will warn people about hell, please, we want to go back” but the angel still proceeded into that part of hell, like he wasn’t paying attention to the cries, sobs and fear upon the people. It was utter shock and bewilderment to the first time comers in hell. In hell, the fear ones feels, it flood your soul and you can almost touch it, this section was going towards the west, when we entered, the place was so dirty, all kinds of garbage, some of the things, you can’t describe, like what was causing litter and dirty. I saw something else, there were very dry and sharp thorns, they demons use it to torment people further., the platform was bloody, we could see a yellow smoke ascending from the pits of hell, what we heard and saw we knew people were in divers and great torments. Suddenly, the demons who looked like they were eating the man alive, they turned to us, was walking slowly, I could see rage, hatred and evil intentions in their eyes. Suddenly the angel and us appeared in another section of hell, that was on the left one of the first one. This place was pitch black, the surprising things, we could still see. The souls in this area were engulfed into massive darkness. There were enclosures, burning rooms and cells. There were backslid Christians, there were Christians with double life, hypocrites and pastors who compromised GOD’s holy word. Then we went to a certain area, in hell we could travel at speed of thought, you can just appear in the area GOD wants you to go and back, This area was larger than others, You could see the atmosphere, the smoke ascending, the air in the atmosphere looked poisonous because of this yellow smoke, the smoke from fire, brimstone and flesh burning. There was just various activities happening. Here there were bigger areas of fire, bigger pits, many many souls tormented as groups, people were tormented by many things, they were sharp instruments and tools, I was aware of many souls in that place, Children(above age of accountability) youths, adults, men and women, this area was populated with unbelievers, unsaved people, or people who died without knowing the LORD. There were drunkards, prostitutes, thieves, murderers and all manner of sinners. People were tormented in every faculty and sense, the fear was beyond the scope of imagination. Just an awful scenery. As we walked out, the angel told me two things, number one. That soul winning is important and command to every Christian, number two, We must warn people about hell, hell message must be preached in church, Our sermons must focus people on eternal matters, heaven and hell. Suddenly, i was no longer in hell but in my room. Matthew 28:19: Go ye therefore, and teach all nations, baptizing them in The Name of The FATHER, and of The SON, and of The HOLY GHOST: Teaching them to observe all things whatsoever I have commanded you: and, lo, I am with you always, even unto the end of the world. Amen. 1 Peter 1:15: But as HE which hath called you is Holy, so be ye holy in all manner of conversation; Because it is written, Be ye holy; for I am Holy. Matthew 18:8: Wherefore if thy hand or thy foot offend thee, cut them off, and cast them from thee: it is better for thee to enter into life halt or maimed, rather than having two hands or two feet to be cast into everlasting fire.